Brill Accu Batteries: Brill Accu Batteries just arrived at our warehouse. These may be the last Brill Batteries coming to the US. The Brill Company has been sold and it is unclear whether the new owners will support the Accu line. 80 Brill Batteries: The shipment contains 80 Brill Batteries. Last year we said we would notify customers as soon as the batteries arrived. We are fortunate to receive this shipment. 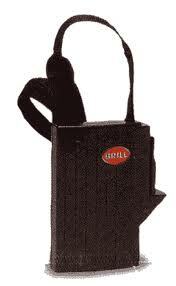 The Brill Accu Battery powers the Accu Mower and Accu Trimmer. Greenfox: I sit on the board of Greenfox Schools an organization which educates students, teachers, and administrators on sustainability. Based on the Greenfox 5: Products, Food, Energy, Waste, and Greenspace. We hope you’ll read the newsletter as we spread the word on the Greenfox 5. Newsletter: Every few months Greenfox publishes its Newsletter. The Newsletter details programs currently running and updates you on what is happening with Greenfox. Here is the latest. Spread the word! Food Establishments: Great news! We now have machines for your food waste needs. First we have the excellent Rocket composting machine which turns your food waste into usable compost in two weeks. The smallest Rocket machine is for clients who have about 80 gallons of food waste per week. The largest Rocket machine serves a client who produces 925 gallons per week. Waste Pulper: For those food establishments looking to reduce their food waste by a 10 to 3 ratio, we offer the Waste Pulpler. This would mean if you normally put out 10 bags of food waste, after using the waste pulper, you would only be putting out 3 bags of food waste. The Waste Pulper is also used for those who wish to reduce food waste before putting the food waste into the composting process. Ecorect: For those Food Establishments who can’t compost but want to reduce food waste the Ecorect reduces food waste by a 10 to 1 ratio. For those presently sending 10 bags of food waste to the waste facility, after using the Ecorect, you would just be sending one bag of food waste. The Ecorect is an excellent machine for single source food waste such as a shrimp processing plant. 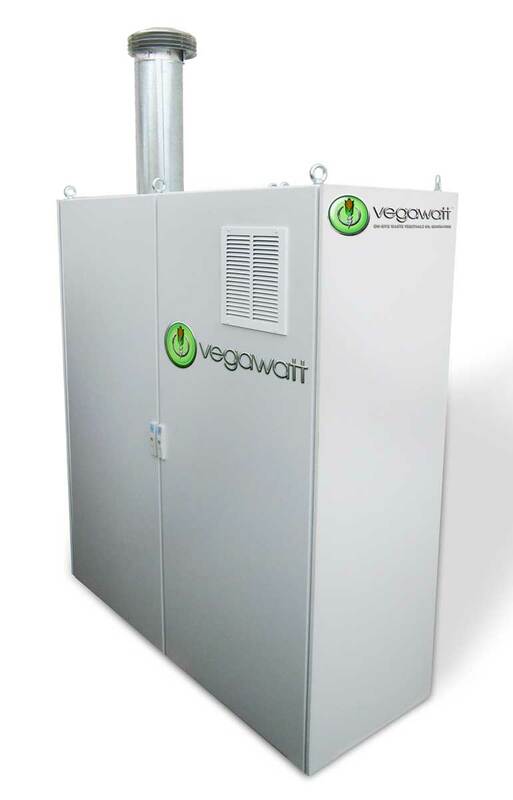 The Vegawatt: For those Food Establishments which use 30 or more gallons a week of vegetable oil, the Vegawatt may be for you. You need to be able to store the unit outside on concrete. If you have the outside room, this machine will pay for itself in 3 – 4 years. Running 24/7, it can reduce your electrical bill by 25% and also contributes to your hot water bill. Photo of Vegawatt below. Benefits: Single-lever height adjustment and a design that throws clippings forward for finer cutting help the Fiskars(yes, the scissor folks) stand out. Bottom Line: Choose the Fiskars if cleaner, quieter mowing is worth the lower cut quality we’ve found with manual reel mowers. And don’t let the grass get too long. All testers were current reel mower users. 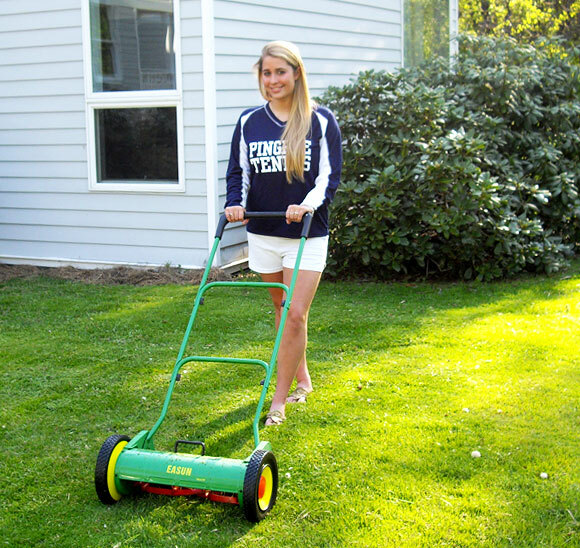 NaturCut Ideal Reel Mower Gets Great Customer Review! Our NaturCut Ideal 40 got a great review which we wanted to share on our blog! I received my NaturCut Ideal 40 on Saturday and had to give it a try. After a fast 65 mile morning bike ride the legs were a little tired, but hey, I had a new toy that needed to be tried. This was going to be my worst case test. The temperature was in the low 90’s with humidity to match. Just another typical summer day in Georgia. I had not cut the bermuda grass since the last weekend and with a week of on again and off again rain had grown up to about 2.5-3 inches. I just took the mower out of the box, put it and the grass catcher together and with no adjustments started cutting I also decided to go up and down the hill to add additional adventure to the afternoon. I was amazed at how easy it was to push. Even up the hill was not requiring the effort I was expecting. The grass catcher need some additional zip ties to make it work like I wanted, but that was the only thing that slowed me down. My 75 year old Yankee neighbor from across the street saw what was going on and had to come over and check it out. I knew he was just itching to give it a push, but I didn’t offer. There was only so much grass to cut and I wasn’t in a mood to share. I can tell you now that he will be borrowing it shortly. I just know Bob, he will have to give it a try. I give him until this weekend. Any way the grass looked great. I could not call pushing the Ideal 40 work. I have done work several times in my life, this was not it. It will be even easier to cut the grass the next time. I also noticed that the reel mower did not lift up the bermuda runners and cut them off which is a good thing. Maybe now those couple of small bald spots will fill in. Oh yea, the neighbors will no longer know when it is Sunday afternoon because they will not hear my industrial grade Snapper. I have to ware ear plugs when using it. Thanks again for answering all my questions over the past couple of weeks. The Amazing Wovel: The popularity of the Sno Wovel continues to grow. Last year, the company which produces the Sno Wovel sold out of stock in early February. This year they sold out in January after doubling their production of 2009. What Stands Out: The ease with which you use the Sno Wovel and the speed with which you can clear a significant area stand out. 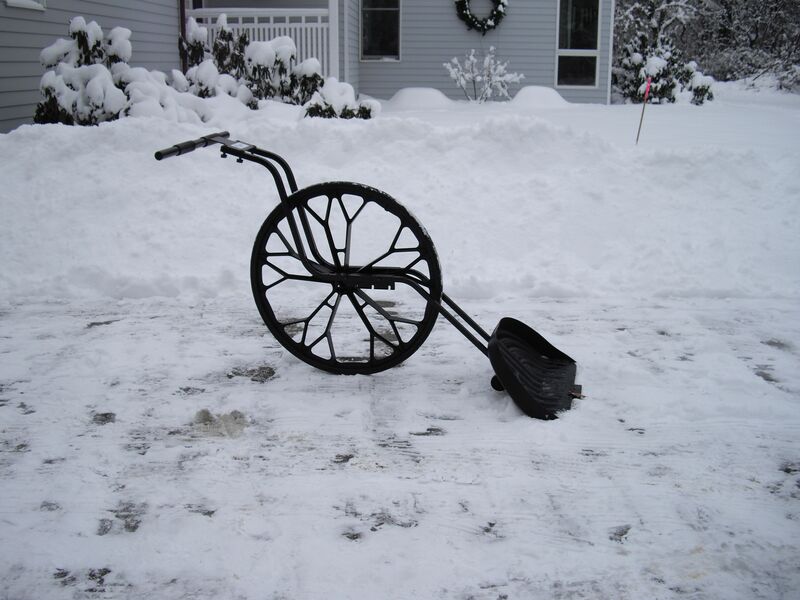 I have used the Sno Wovel for three winters and am amazed that my back never hurts after Woveling. Also, now that the Wovel is three years old it is standing the test of time. If you have a Wovel, enjoy. If not, don’t wait too long next season before purchasing. We would suggest a November purchase to be sure we still have the Sno Wovel in stock. Over the years we have been learning more and more about which mowers cut which grasses best. 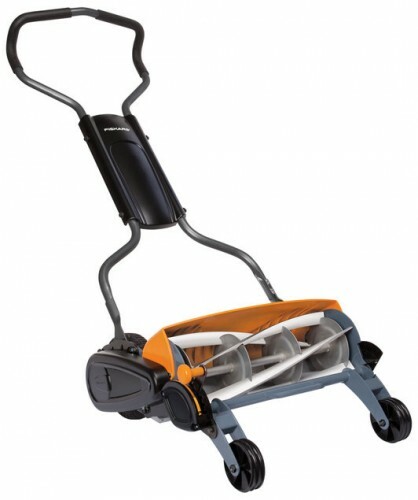 Below we have listed the popular reel mowers and the grasses they cut well. To see all the features of all the major reel mowers compared side by side see our Reel Mower Comparison Chart.